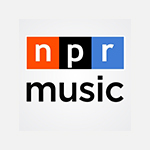 3/20/2019 The music in numbers! In just four months the 2019 Australian Festival of Chamber Music will take over Townsville and the world will be listening! “Try not to smile when you watch Yo-Yo Ma and Wu Man onstage together. I dare you. The two musicians — he’s a superstar cellist, she’s our leading pipa player — seem at first like an odd couple. Mr. Ma plays with brazen emotionality; you get the impression he couldn’t pull off a poker face if he tried. Ms. Wu, calm and unshowy, casts a quiet spell as she gracefully plucks the strings of her lutelike instrument. “A concerto concert featuring Chinese cello superstar Yo-Yo Ma and pipa virtuoso Wu Man will take place in New York City (NYC) on March 6-9, marking the U.S. premiere of Chinese composer Zhao Lin's A Happy Excursion, a concerto for cello, orchestra and the Pipa, a four-stringed Chinese musical instrument. 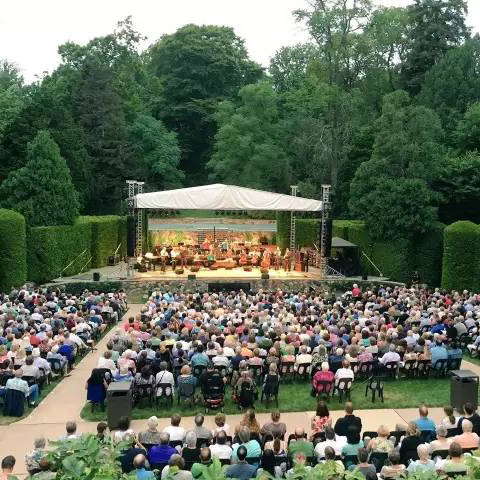 With Yo-Yo Ma and Wu Man as soloists, the concert is New York Philharmonic co-commission with the Beijing Music Festival and Hangzhou Philharmonic Orchestra. 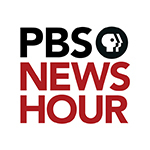 3/06/2019 VIDEO: Yo-Yo Ma and Wu Man Rehearse Zhao Lin's "A Happy Excursion"
“How does a new work make the leap from that all-important “light bulb” moment to grand opening night? Commissioning is something of a dark art, a complex brew of orchestras, funders, composers, and soloists. Doubly so, if you’re creating a work for two instruments that are rarely paired and hail from entirely different traditions. 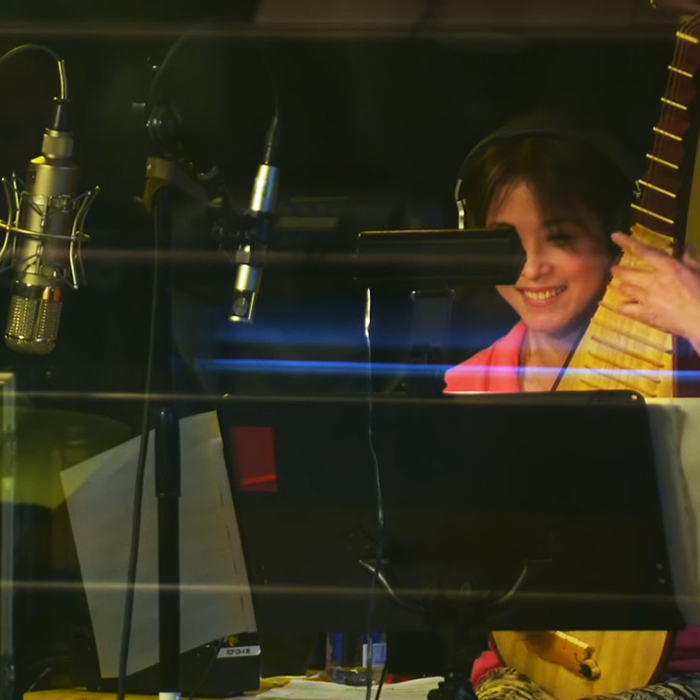 In the case of A Happy Excursion, Chinese composer Zhao Lin’s double concerto for cello and pipa (the traditional pear-shaped instrument sometimes called the Chinese lute), it involves a unique set of coincidences and connections reaching back decades. 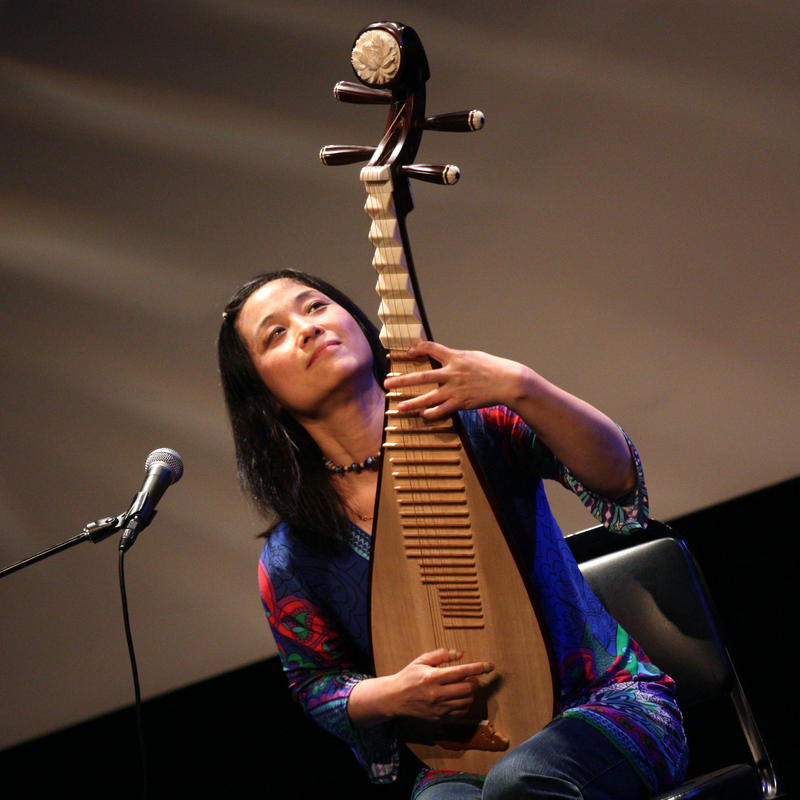 For those unfamiliar, Wu Man is the world’s premier pipa virtuoso and leading ambassador of Chinese music. 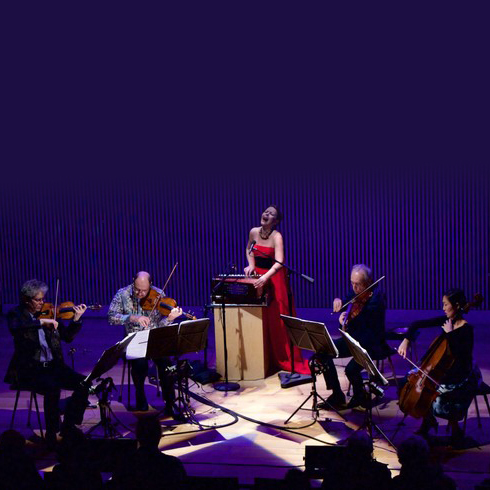 She is also a founding member of Yo-Yo Ma’s Silk Road Ensemble, now in its 20th season, and a featured artist in the documentary The Music of Strangers: Yo-Yo Ma and The Silk Road Ensemble, as well as on the film’s 2017 Grammy Award-winning companion recording. 6/24/2018 [Translated] "The art of cooperation at the Morgenland Festival"
Wu Man and San Diego-based son jarocho group Son de San Diego just released a new album, "Fingertip Carnival". 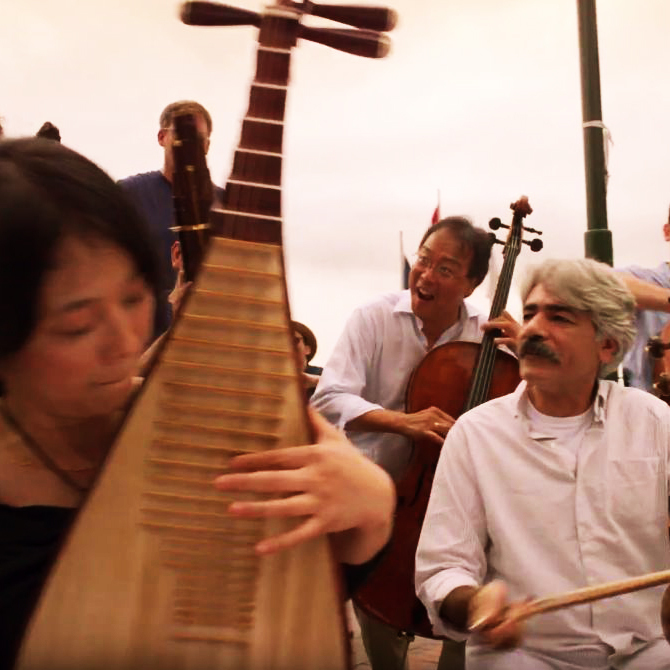 Like their performance at the 2014 Carlsbad Music Festival, the record explores the connections between Chinese and Mexican folk music and each culture's use of stringed instruments. 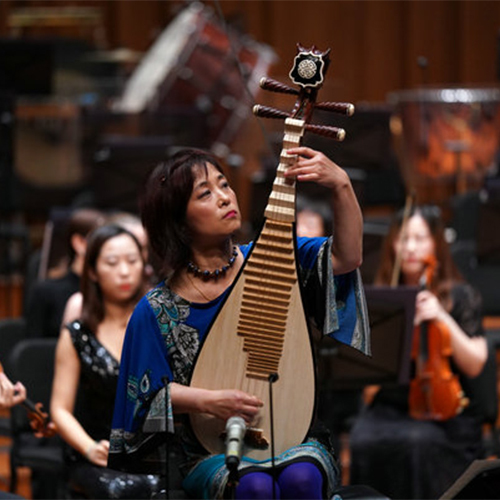 "Internationally renowned pipa virtuoso Wu Man returns to Cleveland for a performance at the Cleveland Museum of Art, but this time she's not alone. Joining her on stage will be the Huayin Shadow Puppet Band for an evening of old-tune traditional music with shadow puppetry. 3/19/2018 Chinese farmers wow New Yorkers with "earliest rock music"
3/18/2018 Three centuries old, a band finally plays D.C. Opening ceremony in Xian Conservitory, China on Dec.5. 11/03/2017 The State of the Arts | "A Concerto Finished by a Virtuoso"
5/01/2017 Where does Anbang get its bucks? 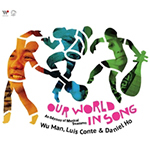 "This season, [world premieres] will include The End of TV, by multimedia production company Manual Cinema; and a new composition by China’s celebrated composer Ye Xiaogang, performed by the Texas-based Miró Quartet and Grammy-nominated pipa player Wu Man. 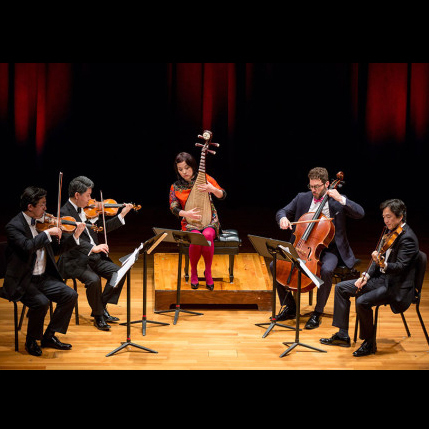 Watch acclaimed pipa player and composer Wu Man (Silk Road Ensemble, Shanghai Quartet and The Chamber Music Society of Lincoln Center) play live from the WQXR studios. Turn on your sound to enjoy this special performance and conversation hosted by WQXR's Terrance McKnight. 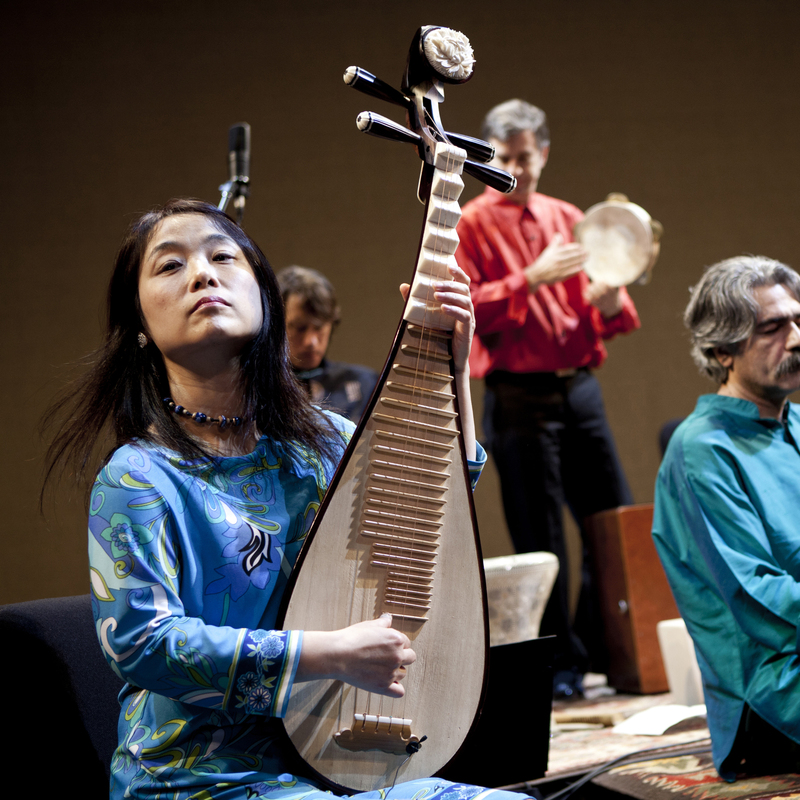 World-renowned pipa player, Wu Man, will perform at the Bella Concert Hall on March 3. She has worked with the likes of Yo-Yo Ma and the Kronos Quartet and you may have heard her pipa playing in the movie, Kung Fu Panda 3. 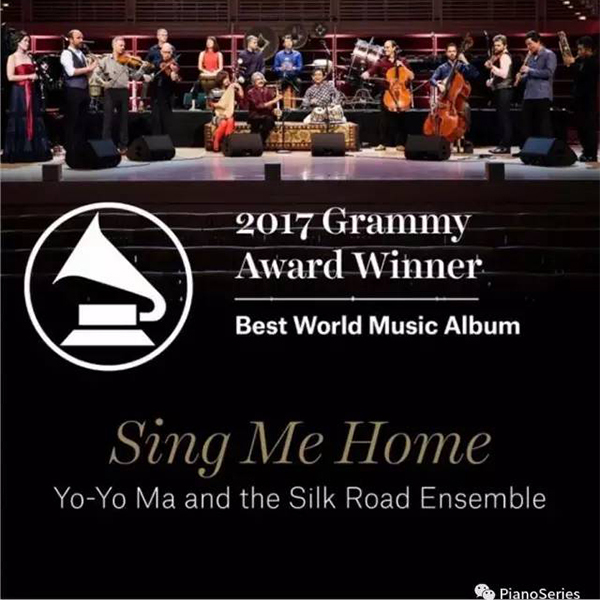 2/12/2017 Yo-Yo Ma and the Silk Road Ensemble Win 2017 Grammy Award! 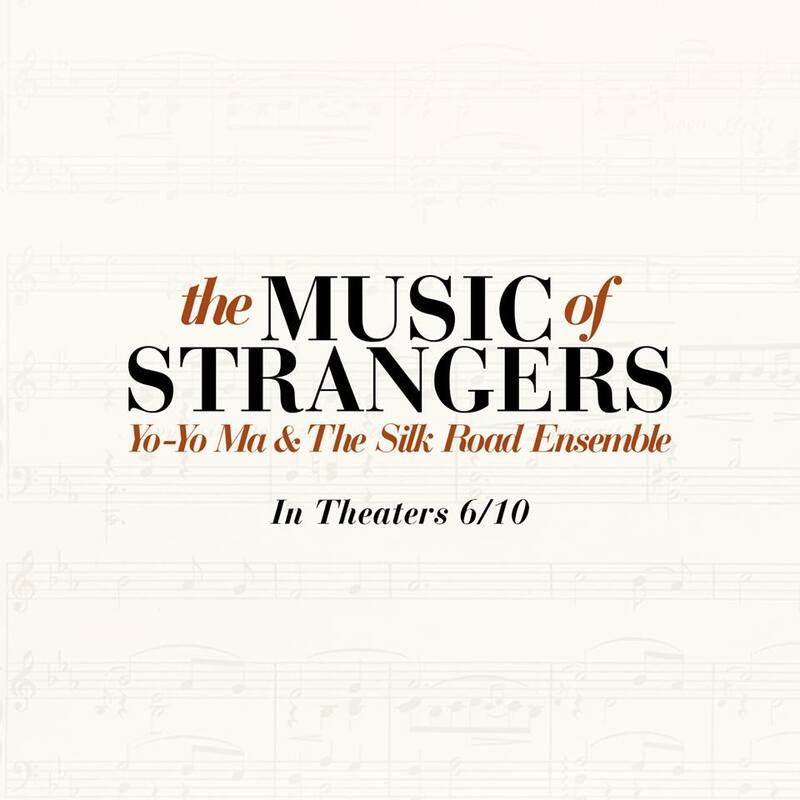 11/28/2016 Movie Review: "The Music of Strangers"
11/18/2016 Movie Review: "The Music of Strangers"
Check out this improvised duo based on a traditional pipa tune with #SilkRoadEnsemble members Wu Man and Tong Wu! Wu Man wrote "Green (Vincent’s Tune)" as part of the suite "Blue-Red-Green" for the Silk Road Ensemble. "Can the Pipa be played on the World stage? 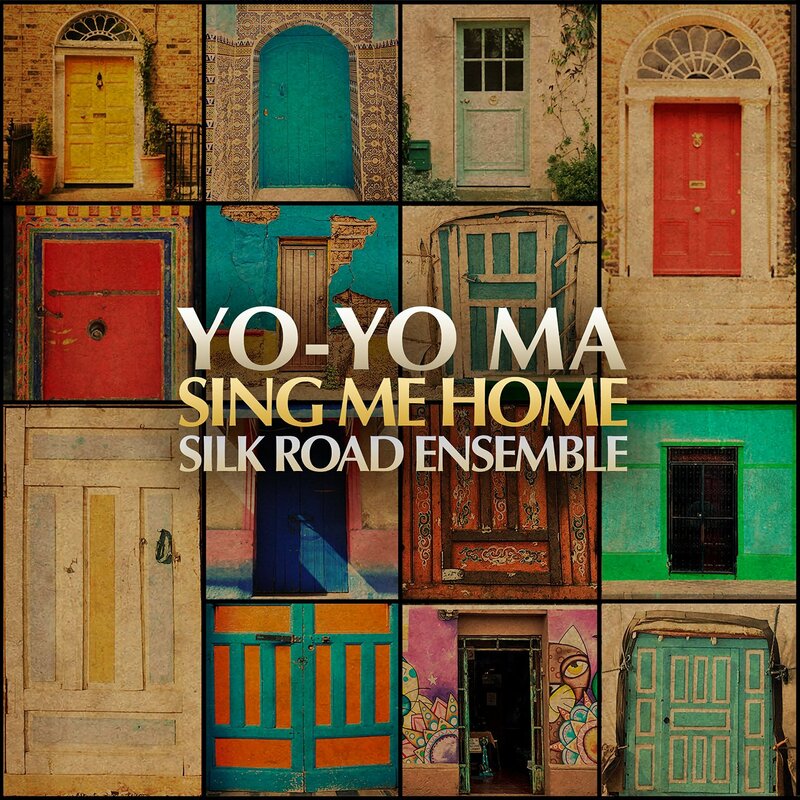 My answer is, Yes"
3/25/2016 Watch the official trailer for "The Music of Strangers: Yo-Yo Ma and the Silk Road Ensemble," featuring Wu Man. The film opens in U.S. theaters June 10, 2016. 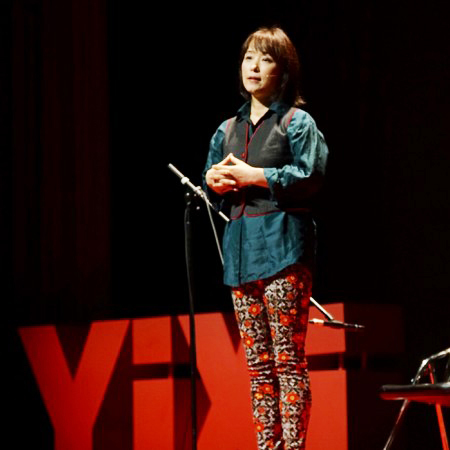 Wu Man opens the ninth annual National Chinese Language Conference (NCLC), co-organized by the Asia Society and the College Board, with a pipa performance and speech. The conference takes place in Chicago, IL, from April 28-30. 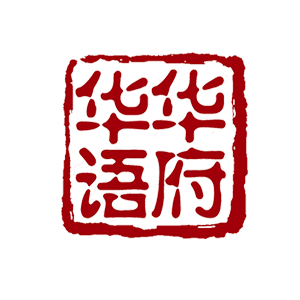 The NCLC is the largest annual convention in the United States dedicated to Chinese language and cultural education and the educational partnership between the U.S. and China. 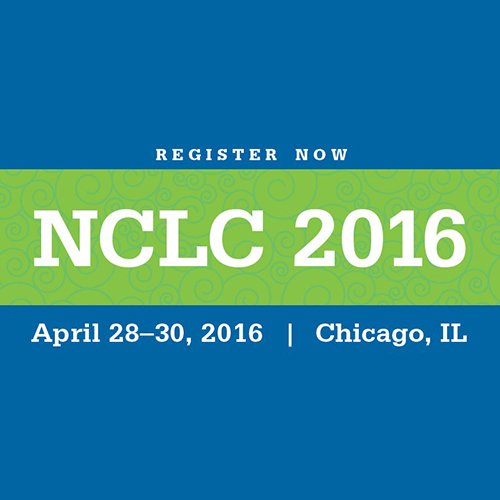 Over 1,200 educators attended the 2015 NCLC, and the conference has cumulatively attracted nearly 9,000 attendees. Other featured speakers include Ian Cheney, Andrew Coe, Monica Eng, Howie Southworth, and Martin Yan. As part of a tour that takes them from Portland, Maine to Corpus Christi, Texas, Wu Man and the Shanghai Quartet (violinists Weigang Li and Yi-Wen Jiang, violist Honggang Li, and cellist Nicholas Tzavaras) present “A Night in Ancient and New China,” a program showcasing the extraordinary range of Chinese folk and contemporary music. 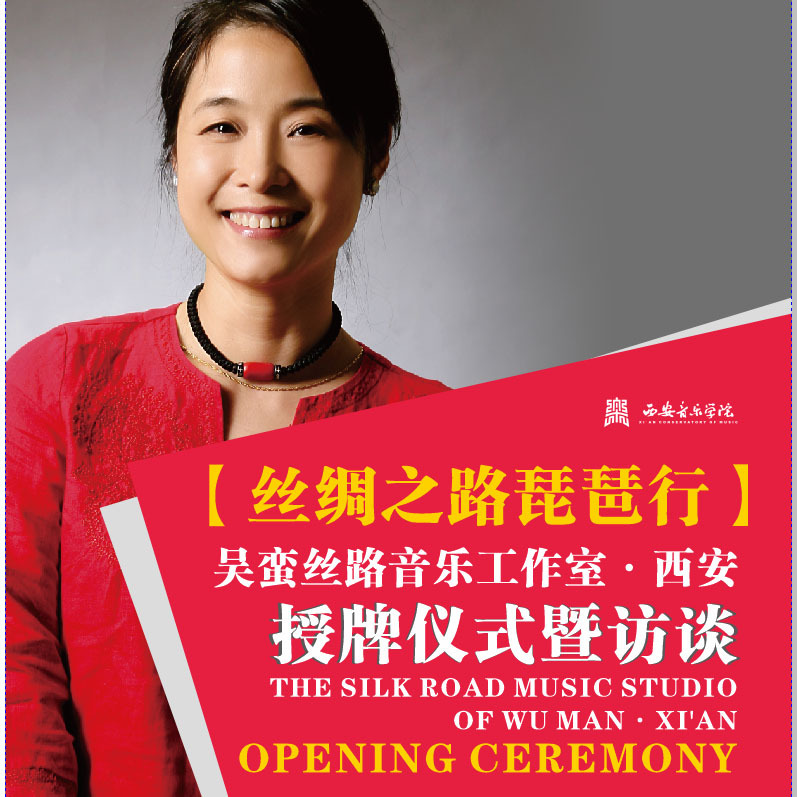 The concert includes contemporary arrangements of Chinese folk tunes by violinist Yi-Wen Jiang, solo pipa works by Wu Man, and Concerto for String Quartet and Pipa by Tan Dun. The program also features a new commission: the multimedia work “Red Lantern” by the Chinese composer, Zhao Jiping, in collaboration with his son, Zhao Lin. This work is drawn from several of Zhao Jiping’s film scores, including Raise the Red Lantern, To Live, and Farewell My Concubine, which are among the most celebrated soundtracks in Chinese cinema. 03/27/2015 Wu Man Celebrates 25 Years in the U.S.
2013 Wu Man Announced as 2013 Instrumentalist of the Year by Musical America. The first traditional musician ever to receive this prestigious award! Photo by Wind Music. Site by ycArt design studio.